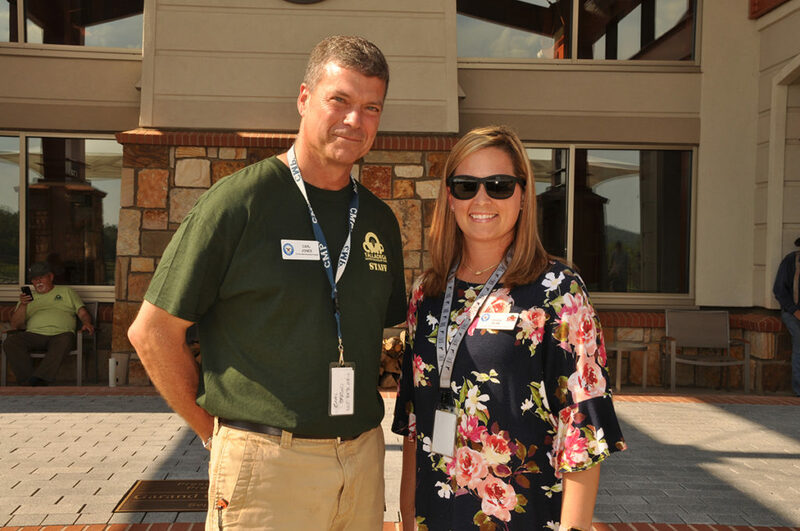 TALLADEGA, Ala. – The Civilian Marksmanship Program’s (CMP) Talladega D-Day Matches again welcomed rifle and pistol competitors from around the country, June 8-10, 2018, at the Talladega Marksmanship Park. 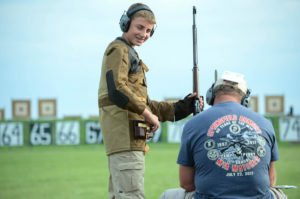 The warm and sunny weekend brought over 170 adult and junior competitors together on the firing line at the outdoor gun range facility to celebrate the past and present in a safe and engaging environment. 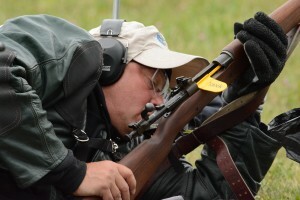 Keith Schachle led the John C. Garand Match at the Talladega D-Day event in June. 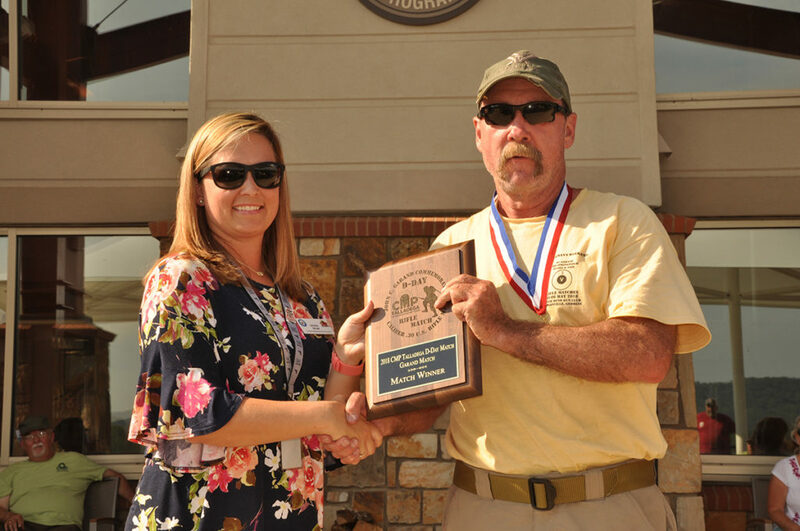 In the crowning event, Keith Schachle, 59, of Brooks, GA, led the Garand Match course with a score of 291-7x – just three points shy of a D-Day record. 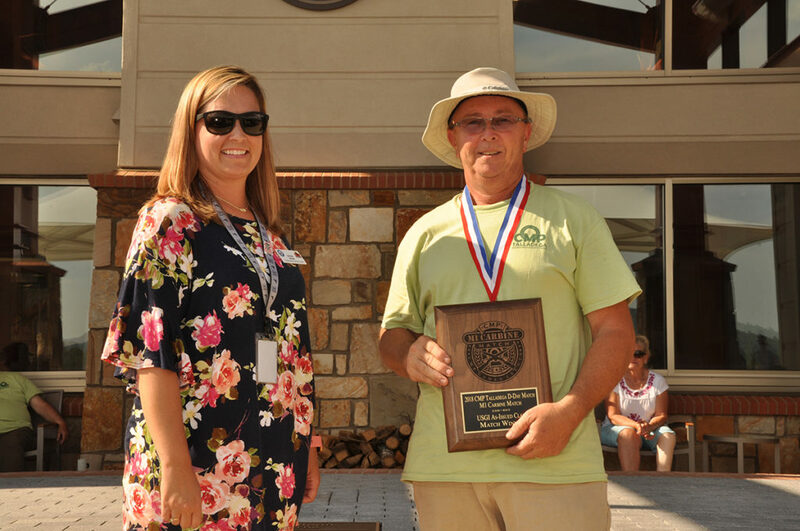 Coming in second was the current record holder, Douglas Armstrong, 58, of Lexington, NC, with a score of 288-8x, followed by Robert Taylor, 52, of Kingsport, TN, in third with 280-5x. The Talladega D-Day matches are held to commemorate the anniversary of the Allied Forces D-Day landing at Normandy Beach during World War II as well as to provide a space for competitive marksmanship opportunities for a variety of individuals. 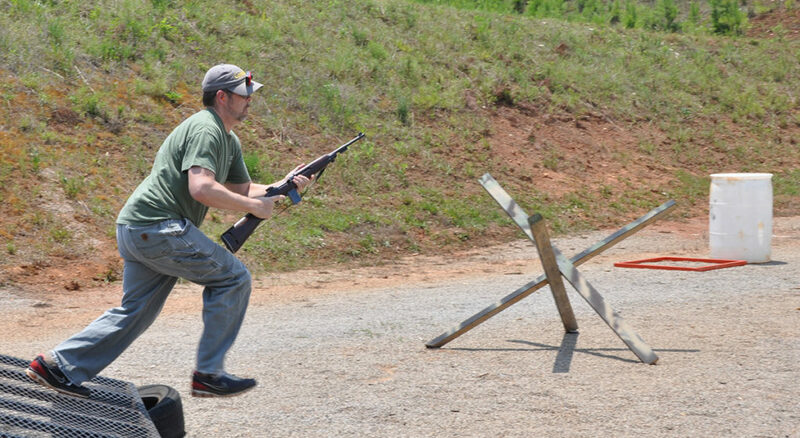 Using vintage and modern military rifles, competitors may choose from an assortment of events that will test their abilities and provide recreational fun. 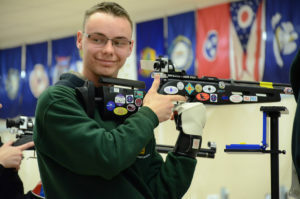 Carl Jones was the overall competitor in the EIC Rifle match. 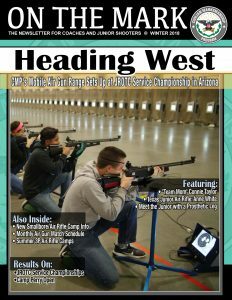 Earning first place overall in the EIC Rifle match course was Carl Jones, 54, of Birmingham, AL, with a score of 491-12x. Charles Alexander, 53, of Bessemer, AL, topped the As-Issued Carbine Match, with a score of 357-1x. In the As-Issued Carbine event, Charles Alexander fired a score of 357-1x to come out on top. 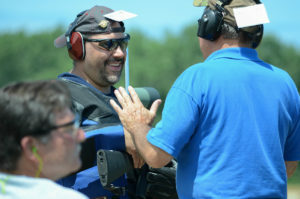 Overtaking both the EIC Pistol and .22 Rimfire Pistol EIC events was Anthony Bellipanni, 47, of Birmingham, AL. Bellipanni, who is distinguished in Rifle, Pistol and .22 Rimfire Pistol, claimed the EIC Pistol Match with a score of 270-6x and the .22 Rimfire Pistol competition with a score of 272-3x. 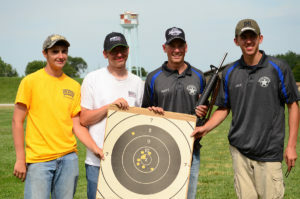 In the Vintage Sniper event, the team of Blankenship/Godwin (Ryan Blankenship and Scott Godwin), bested the field with a score of 385-16x in the manual class. Team Semi-Accuracy (Douglas Armstrong and Paul Hoecke) led the semi-automatic class, with a score of 390-12x. 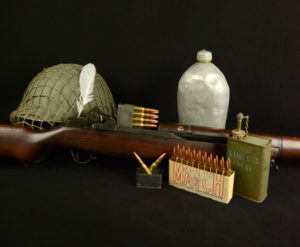 Along with the D-Day matches, a one-day charity Vintage Action Rifle “run and gun” event was held, simulating the legendary invasion and other battles. 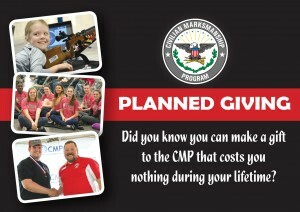 In addition to the CMP matches for D-Day, the U.S. ARMS hosted a one-day D-Day Vintage Action Rifle “run and gun” charity event in Talladega Marksmanship Park’s action pistol bays, with funds given to the Colonel Robert L. Howard State Veterans Home in Pell City, AL. The event featured three bays, each representing a different course and named for a battle of World War II, including the Normandy Invasion – where competitors began by emerging from a simulated landing craft (a disguised trailer with a tailgate) and traversed through obstacles and shooting stations. The timed event was conducted for only one shooter at a time to ensure safety. 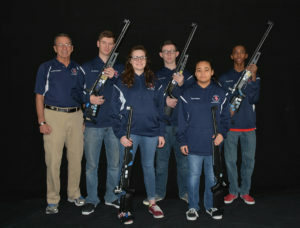 The match was sponsored by Redding Reloading Equipment, Starline Brass, Southern Custom Guns and ATAP. 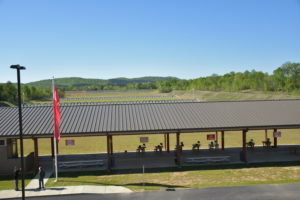 Talladega Marksmanship Park includes some of the latest in marksmanship technology, such as LED monitors next to each competitor that instantly display shot scores. The park is open daily to the pubic, all year round, and includes opportunities for rifle, pistol and shotgun enthusiasts. 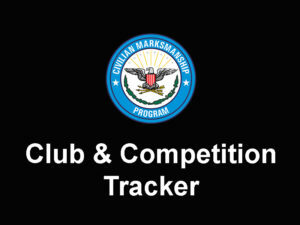 For a complete list of results of the Talladega D-Day Match, visit https://ct.thecmp.org/app/v1/index.php?do=match&task=edit&match=16348&tab=results. Photos of the event can be found at http://cmp1.zenfolio.com/f1030586272. Thanks for the Pics and articles Christine! What does the Garand match consist of, the course of fire? What range? Positions? What makes up the 300 point total? I've fired National Match courses which are slow fire 200, rapid fire sit 200, 300 rapid and 600 slow fire.. I've never seen a 300 point match? Look forward to seeing this course of fire. Thanks. See Page 41, Course A in our Games Rulebook - http://thecmp.org/wp-content/uploads/CMPGamesRules.pdf?ver=07112018.